Desperate to shed its image as one of the world’s rudest cities, Paris has embarked on a campaign to improve its reputation and better cater to the needs of tourists. Waiters, taxi drivers and sales staff in the French capital all too often come off as impolite, unhelpful and unable to speak foreign languages, say local tourism chiefs, who are handing out a manual with guidelines on better etiquette. A six-page booklet entitled ‘Do you speak Touriste?’ contains greetings in eight languages including German, Chinese and Portuguese and advice on the spending habits and cultural codes of different nationalities. ‘The British like to be called by their first names,’ the guide explains, while Italians should be shaken by the hand and Americans reassured on prices. Of the Chinese, the fastest-growing category of tourists visiting the city, the guide says they are ‘fervent shoppers’ and that ‘a simple smile and hello in their language will fully satisfy them’. 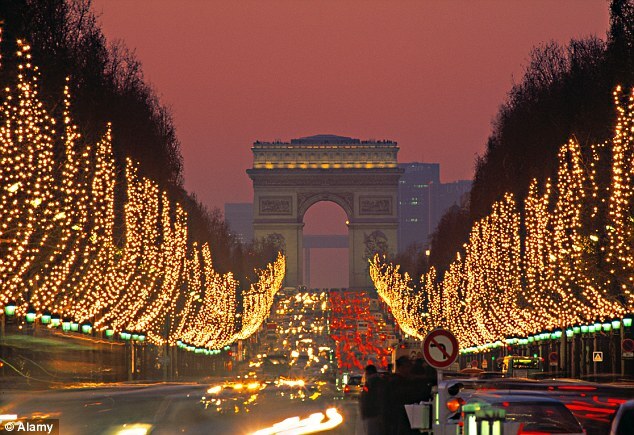 France is the world’s top destination for foreign tourists, with Paris visited by 29 million people last year. The business tourists bring to hotels, restaurants and museums accounts for one in 10 jobs in the region and is a welcome boost to the economy at a time of depressed domestic consumption. The Paris chamber of commerce and the regional tourism committee have warned, however, that growing competition from friendlier cities such as London meant Paris needed to work harder to attract visitors, especially from emerging market countries. Some 30,000 copies of the handbook on friendly service are being distributed to taxi drivers, waiters, hotel managers and sales people in tourist areas from the banks of the Seine river up to Montmartre and in nearby Versailles and Fontainebleau. Setting realistic linguistic ambitions, it suggests offering to speak English to Brazilians – who it describes as warm and readily tactile and keen on evening excursions.